St. Patrick's Festival 2019 will be the 6th edition of this annual celebration of Irish arts & culture. The Festival will take place at Splendor as well as the neighbouring Uilenburger Sjoel, just a few minutes up the street from Splendor. Tickets are sold via Splendor. 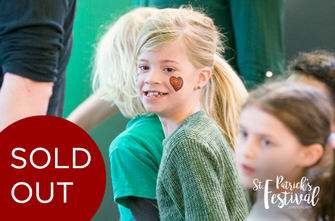 Update: please note that all events on Sunday 17th March are now sold out! Kick off your weekend with fantastic Dutch-Irish duo Muller & Munnelly. 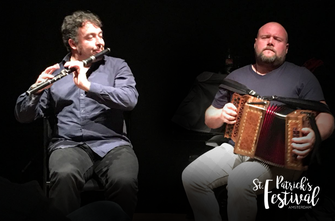 Dutch flute player Isaac Muller and Irish accordion player David Munnelly will transport you to the Irish rolling hills with their outstanding sounds and mind-boggling technique. This duo brings you music, songs and no doubt a few stories, all in the cosy Splendor bar. 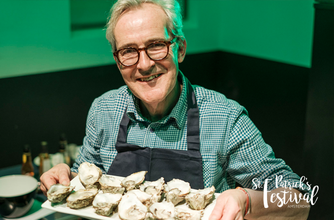 Irish chef, TV presenter and founder of the famous Ballymaloe Cookery School Rory O'Connell gives us a taste of Ireland in the 18th century. This event is as much a treat for the tastebuds as it is for the imagination! Travel back in time with Rory, to an age when the humble potato was the staple food. In our world of overabundance, its fascinating to get an insight into simpler times, when a whole population survived on potatoes, supplemented with herring, duck and grains! Ireland in the 1740s proved to be a fertile creative ground for the composer George Frederic Handel. Although there was a hive of rich musical and cultural life in Dublin, the island faced devastating hardship. His towering masterpiece, the Messiah, was premiered in Dublin in 1741. This period of his life established his links with Ireland. In short, Handel proved to be a resounding success in Dublin, a legacy that is fascinating to revisit. Renowned Belfast-born conductor Kenneth Montgomery, in conversation with Alexander Oliver, director Dutch National Opera Academy, gives a look at Handel's influence in Ireland with live music performances from counter tenor Cameron Shahbazi, Dutch lutenist David Mackor and the Dudok Quartet. The Brexit Conversation Joris Luyendijk and Fintan O’Toole in Conversation in the Uilenburger Sjoel. Two great minds come together to talk about what Britains exit from the EU might mean for Ireland, for the Netherlands and for Europe. Moving closer to Brexit, theres no clear way to ascertain how the rest of Europe will change and the effect it could have on the people. 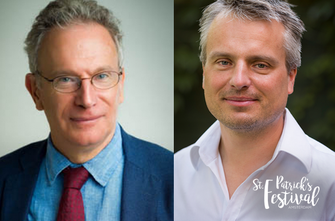 There is so much to discuss for Irish journalist Fintan O’Toole and Dutch journalist Joris Luyendijk. Don't miss this! 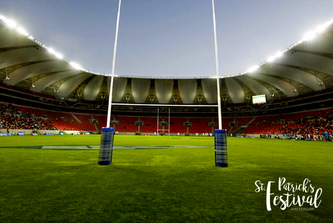 Sit back, relax and watch the Six Nations Rugby match between Ireland and Wales. Grab yourself a drink, pull up a seat and join in the camaraderie at Splendors homely bar. 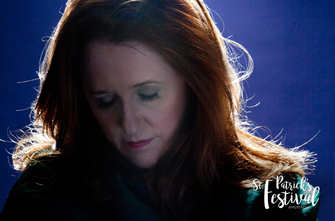 Galway-born singer Mary Coughlan is celebrated for her raw emotion and her unique expressive sound in her songs, which deal with turbulent and sometimes heart-breaking personal experiences. Her 30-year career in jazz, blues and folk singing has led to her becoming one of the leading Irish singers of the present day, with 15 solo albums to her name and resounding critical acclaim across the globe. She has been dubbed by The Guardian as Irelands Billy Holiday, while the Financial Times calls her a transfixing performer. 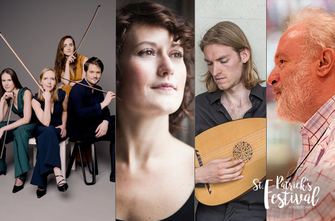 Mary will be joined by Irish pianist Johnny Taylor and Dutch Jazz violinist Jeffrey Bruinsma, violist Oene van Geel, bassist Thomas Pol and saxofonist Mete Erker, for this once-off concert. 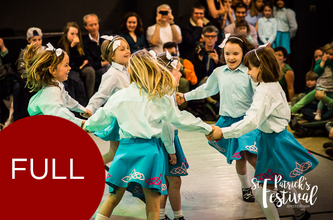 Children (aged 4+) and their (grand)parents can try out Irish Céilí (group) dancing, in a fun setting where everyone gets to learn some new steps. Led by Catherine Redmond of the Redmond School of Irish Dancing, Holland. No previous Irish dancing experience is required. 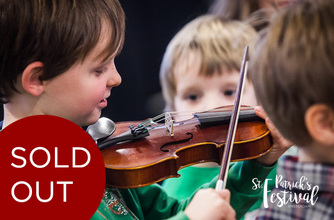 The youngest musicians (ages 4-10) have an opportunity to get a taste of making music with an Irish theme and is led by Splendor Kids own music teacher, Iris Oltheten. 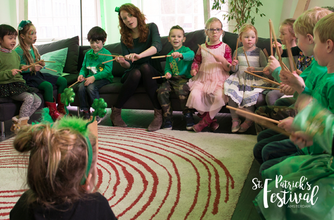 Using Irish music as inspiration, Iris will guide the children to discover and explore the experience and fun of making music in a group setting. No previous musical experience is required. Since Riverdance has become a global phenomenon, Irish dancing is increasing in popularity around the world. See this intricate, graceful and energetic dance form up close, in this presentation by the Redmond School of Dance who teach and perform in The Netherlands. 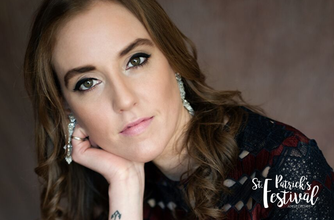 Irish author Louise O’Neill, who primarily writes for a young adult audience, talks about her latest book, The Surface Breaks, a 21st century re-telling of The Little Mermaid with Dutch TV presenter Bianca Tan. Louise O' Neill grew up in Clonakilty, West Cork, Ireland. Her first novel, Only Ever Yours, was released in 2014 and went on to win the Sunday Independent Newcomer of the Year at the 2014 Bord Gáis Energy Irish Book Awards. O' Neill's first novel for adults, Almost Love, was published in March 2018, followed shortly afterwards by The Surface Breaks, her feminist re-imagining of The Little Mermaid which was released in May 2018 and in Dutch in November 2018 as Mermaid. 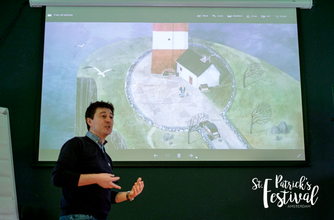 Animator Rory Conway, from the Oscar nominated Irish animation studio Cartoon Saloon, will teach you the step-by-step how to design a complete scene from one of Cartoon Saloon’s Oscar nominated movies Song of the Sea, Book of Kells and The Breadwinner. Using these movies as examples, hell also talk about the process of making animated movies. A ticket for this workshop includes a screening of Cartoon Saloons Oscar nominated animation feature The Breadwinner at 16:30. Kilkenny based Cartoon Saloon is a three time Academy Award® and BAFTA nominated animation studio based in Kilkenny, Ireland. SPLENDOR | FREE ENTRY - RESERVATION REQ. 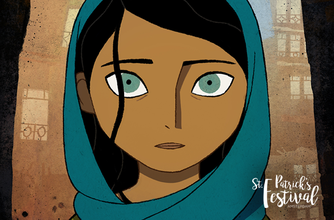 The Breadwinner is an Oscar-nominated feature-length animation film about a girl from Afghanistan who disguises herself as a boy in order to go out a work to support her family, based on the children's novel by Deborah Ellis. The film was a co-created between Ireland, Canada and Luxembourg and its director, Nora Twomey is a partner and co-founder of the Irish animation studio, Cartoon Saloon with Angelia Jolie as the films executive producer. The young talents that make up Four of a Kind can pull off some of the most powerful, energetic and danceable jigs and reels one is likely to come across outside of Ireland. 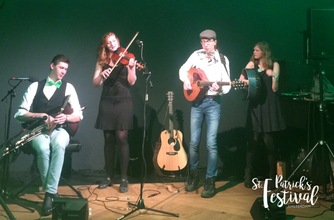 They’ll be rounding off the evening with Irish music with a modern twist. You can tap your foot to the music or join in a late night céilí dancing session led by Renske Burghout. During our events some pictures and/or video may be taken and therefore may contain your image. Please notify us at the start of an event if you prefer not to be pictured/recorded.